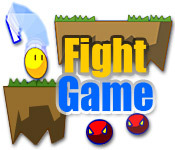 Defend your platforms from the big red floating heads in this retro fight game. Use the space bar to jump and the F key to attack.The big read heads are attacking!The big red heads are attacking! Defend your platform from these floating monsters in Fight Game. 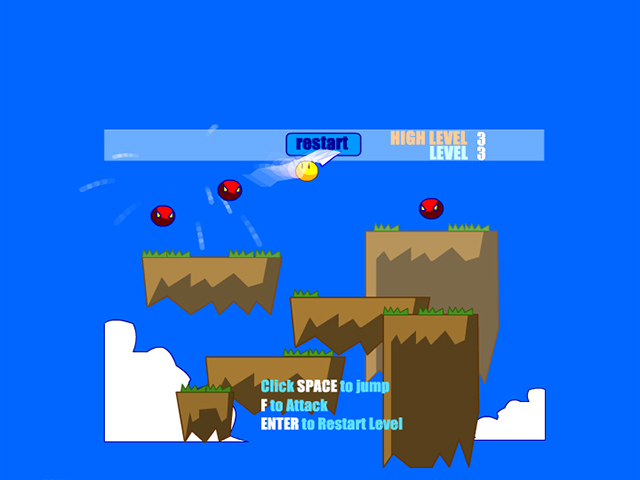 Use the space bar to jump and the F key to attack. Make sure that the evil heads do not push you off the floating platforms. Be careful! More big red heads will appear as you level up.